Description: Singer Sewing Kits contain all the basics for sewers and non-sewers alike! They make a perfect traveling companion, or as a child's, "My first sewing kit," gift. 8 Spool Thread- Contains scissors, a thimble, needles, needle threader and 8 colors of polyester thread with 35 yards on each spool. Colors are white, grey, yellow, red, blue, black, brown and navy .They all come together in a hard, plastic, hinged container that has a white bottom and clear top. 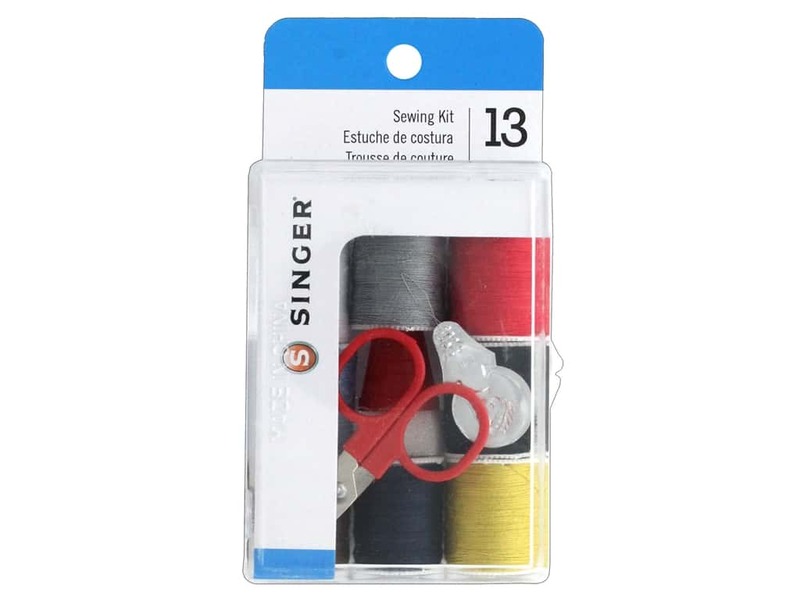 See more Singer Sewing Kits.